Weighty Matters: Disband the Clean Your Plate Club! What's one of the worst clubs your kid can join? 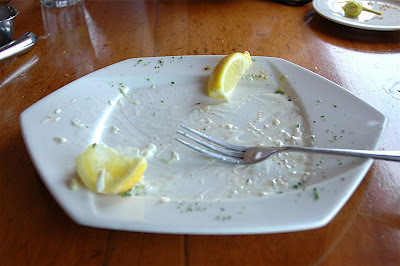 The clean your plate club - a club likely born out of war rationing back during WWII. Here's a thought - if your kids aren't cleaning their plates perhaps you're serving them too much? Or maybe it's that they've grown accustomed to trying to save their appetites for the tastier stuff offered to them after the meal.....but does dessert really need to be served nightly? Are there risks to not forcing your child to clean your plate? None that I can think of - emotionally well-adjusted children won't let themselves starve. Lose the club - you can spell "waste" two ways.